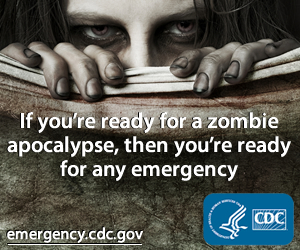 For those of you heading to the South by Southwest (SXSW) festival in Austin, Texas, we've got a little relief for you. The FX network understands how utterly exhausting these shindigs can be, so they've decided to set up "The Strain Rejuvenation Station" to perk up all you weary fest attendees! Now, what exactly is a rejuvenation station? For 20 minutes you will be able to catch some zzz's in a nap pod, while exclusive content from the new FX show, "The Strain," plays on a tablet. The press release gives a bit more insight, so here are all the exciting details! FX is bringing relief to fatigued South by Southwest attendees in Austin, Texas. The Strain Transformation Station will provide participants with the chance to recover from "the strain" of SXSW with 20-minute power naps inside custom-built Rejuvenation Pods. The pods are equipped with tablets showcasing exclusive content from the new FX original series, "The Strain." The new series, based on the Dark Horse comic by Guillermo del Toro and Chuck Hogan, is the story of Dr. Ephraim Goodweather, leader of the Center for Disease Control's Canary Team in New York. Ephraim and his team are tasked with investigating a mysterious viral outbreak with all the signs of an ancient and evil strain of vampirism. With the strain spreading, Ephraim and his team join forces with citizens of NYC to fight to save humanity. The cast includes Corey Stoll, Mia Maestro, Kevin Durand and Sean Astin, with Oscar winner Guillermo del Toro acting as writer/producer/director for the project. 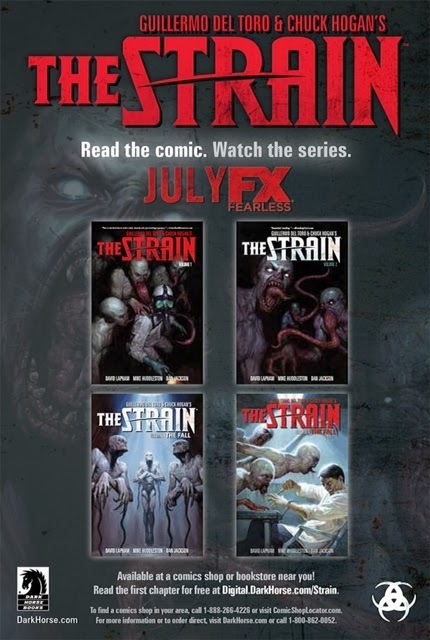 You can catch the premiere of "The Strain" on FX in July, 2014. For now, check out this exclusive trailer, entitled "Eclipse." For those readers headed to SXSW, be sure to check out the Rejuvenation Station and let us know what you thought!